When you reflect on the summers of your childhood, some of your fondest memories were probably spent in the water. 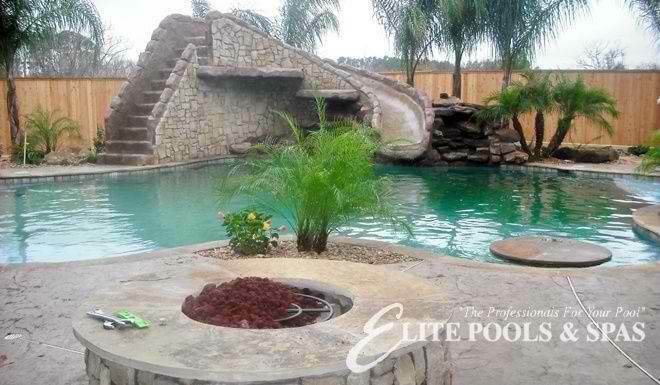 Maybe your family owned their own custom swimming pool and this led you to develop a passion for swimming and a thirst for the fun that only a pool can provide. Regardless of where these desires were sparked, you are now considering building your own custom pool at your Houston, Clear Lake or League City home. If you are still undecided whether to invest in a swimming pool in Houston, there’s good news – building a swimming pool is a wise investment and increases your property value. If that isn’t reason enough, here are the many benefits of pool ownership. Health is not normally one of the first thoughts that people have when deciding to build a custom swimming pool, but it is a major benefit. Having a swimming pool gives you a great excuse to get out of the house and engage in some outdoor physical activity. This is also great for those who have families, as nobody loves taking a swim on a hot summer day more than children. If you are looking for a low impact way to get a full body workout, swimming is the perfect exercise. You will find that swimming regularly increases your mobility, improves your cardio and can even help you to lose weight. Psychologically, swimming is an excellent way to relieve stress. Owning a swimming pool can have a positive influence on your health. One of the main reasons why people get swimming pools is to have a unique place to entertain their friends and family. The occasional pool party is always a great way to bring friends and families together. Speaking of your outdoor space, have you considered building an outdoor kitchen or adding additional features to your pool area, such as a fire pit? These are the perfect features for those who enjoy entertaining regularly. Did you know that adding a beautiful custom swimming pool to your property will increase the value of your home. If you ever do decide to sell, buyers appreciate the option of having a swimming pool already on the lot. Many potential buyers are in search of homes that have pools, specifically due to the climate of the area. If you would like a way to increase your property value as well as the amount of joy that your home brings to your family, invest in a swimming pool and reap the benefits. Perhaps the biggest advantage to being a pool owner is that it will allow you to build on those childhood memories of summers that were spent in the water. You can also help your children, grandchildren, nieces and nephews to create their own memories and in turn spark their own passions; a swimming pool is an investment that will give for generations.